Preparing for a hurricane is something most long term East Coast people will inevitably experience at some point. 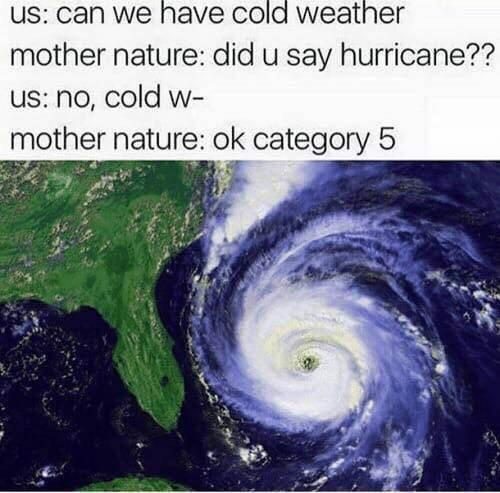 Everyone knows the basics for hurricane preparation. Get water, take loose objects inside so they don’t become projectiles, board up some windows if you can. But, there is a lot to preparation that people might not realize. 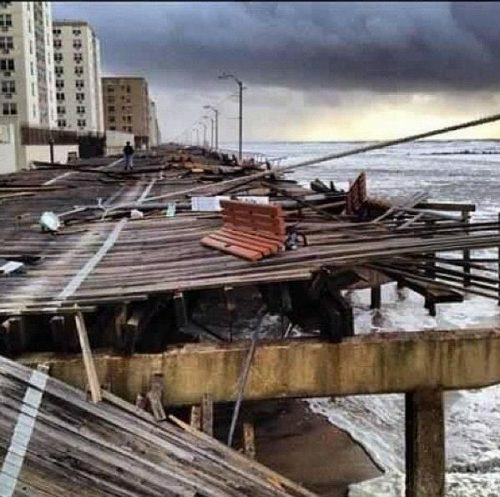 It’s things that I learned during, and after Hurricane Sandy devastated my home town of Long Beach, New York. With Hurricane Florence approaching North Carolina, I want to share some of the things I discovered, both good, and bad, that should make you a more prepared citizen and parent during the storm. If you are a coastal resident, don’t be this person. Just pack some things and go. Convince others to leave. Worst case scenario is you sleep on your cousin Randy’s couch for a few nights and have to endure his political rantings and awful music. We get it, Randy. You’re angsty. If you’re a parent, DEFINITELY LEAVE! When you realize flooding is happening, it’s already too late. It’s not a gentle, gradual thing that comes from one direction. Any bay, inlet, creek and river will swell with an incoming surge and you’ll be that guy waiting on his roof for the pontoon to come get you. Don’t put yourself, your family and any potential rescuers in danger just because you decided to ride it out. When Sandy was just off the coast, I posted this picture for my friends and family who were all planning on staying. 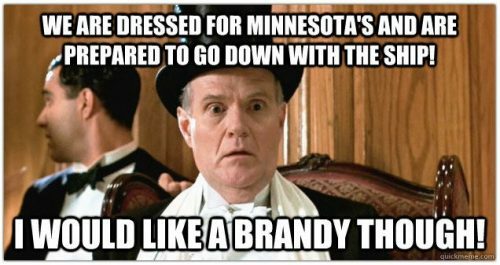 Minnesotas is a popular bar in town. It flooded just like everywhere else. Before you leave your home, bring any important insurance information you might need! Get your paperwork together so you have it when you need it. This might seem like a no- brainer, but think of the panic you feel when your phone goes into red when you’re at the store and it’s just a normal Tuesday. Keep all phones, laptops and external chargers plugged in once the storm starts. If you lose power turn all but one device off. Once that one is in the red, move on to the next. Make a plan with relatives so they know which numbers to reach you at. Hurricane Sandy knocked power out for weeks for many individuals. Friends of mine had to travel miles and miles to reach areas with power. If you have a chance to go out and buy an external charger or two, do it today. You’ll never be sorry to have one even if you don’t need it for the storm. If your car floods with salt water, consider it done. Forever. DO NOT TRY TO START IT. There is a high likelihood that it will burst into flames. Even if the car has dried out. Long Beach learned this the hard way, as people attempted to start cars in garages, and burned their homes to the ground. Don’t risk it. Even for your super badass 2002, Celica. I don’t know if the same goes for fresh water flooding, but why risk it? This is what I did from California where I was living when Sandy hit. The night of the storm I was seeing information blasted all over Facebook about flooding in certain areas of town, help needed in other areas, and power losses in certain regions. The problem was that none of the information had a central place. It was random friends and family members who weren’t connected. I found myself passing news back and forth for a few hours before I created the Long Beach NY Hurricane Information Page on Facebook. I invited all of my Long Beach friends to it and encouraged them to share news. They, then invited more people and within days it had over 12,000 followers. Eventually, the page had multiple admins working around the clock from several locations around the US, passing information, posting updates and keeping the followers abreast of any developments. Those developments ranged from food deliveries, to work on the power grid to water supplies and cleanup efforts. The page became a resource for people to locate and find the status’ of the elderly and infirm, as volunteers went to homes to check and report for those without internet access. Be the person that starts this for your community. Start the page today. Invite some friends and encourage them to invite others. Your cell service might be interrupted, but you might still be able to get data. It could prove to be invaluable to your community and setting it will take moments. First, gas up all your things. 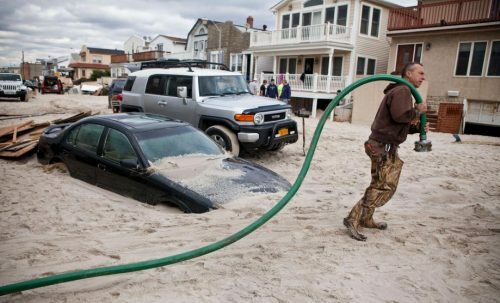 When Sandy hit, fuel was IMPOSSIBLE to get. It was all demand and literally no supply anywhere. For weeks. So top it off today, and fill it as long as you’re able to. If you have a second car and live near any water, move that thing to higher ground somewhere and leave it. Almost everyone I know from my hometown lost their cars to flooding. So, don’t be one of those people! Just pick the better car you have, and move it today. Pick the better one for your family, I should say. We know you love your Ford F 690 pickup, but the minivan is way better for the kids, dummy. I know this seems like an odd suggestion, but hear me out. There were loads of people in the aftermath of Sandy whose homes flooded, days after the storm. They came back to their homes, checked to see if water was running. Discovered it wasn’t and then left the home again, heading back to a location with electricity and water. Well, when that water service was restored, bathtubs and sinks filled, because they didn’t turn it back off. And they filled for hours or days until the homeowners returned again. Don’t let this absurd scenario happen to you. If so, you’ll attract none of the sympathy that others in the storm get, and years later some writer will be referencing your stupidity in a warning article to others. We all hope that the best will happen here. We hope the storm won’t do too much damage. We hope the rains following won’t cause flooding and landslides. We hope everyone remains safe and follows all the rules, but we also know reality. It’s best to be prepared. Finally, I learned something else after running that FB page and it’s something your communities will likely see during the storm. It’s that communities rally together. I saw the best of people, as strangers helped each other in every way possible. I saw donations flooding in from across the country. I saw major corporations stopping to assist (JetBlue delivering donations in my case.) It was a beautiful thing to witness and I saw it happening in communities all across NY and NJ. The one thing I know for a fact is that if Florence makes a big hit on the East Coast, the communities there will certainly rally together and hit back with camaraderie.